Before we get started I just want to apologise for me being off the blogging radar for a little bit. My exams start on Monday so I've been revising like a crazy person. This irregular blogging pattern is likely to continue for the next month or so until all my exams are done and dusted but after that, I'm free to blog till my hearts content. 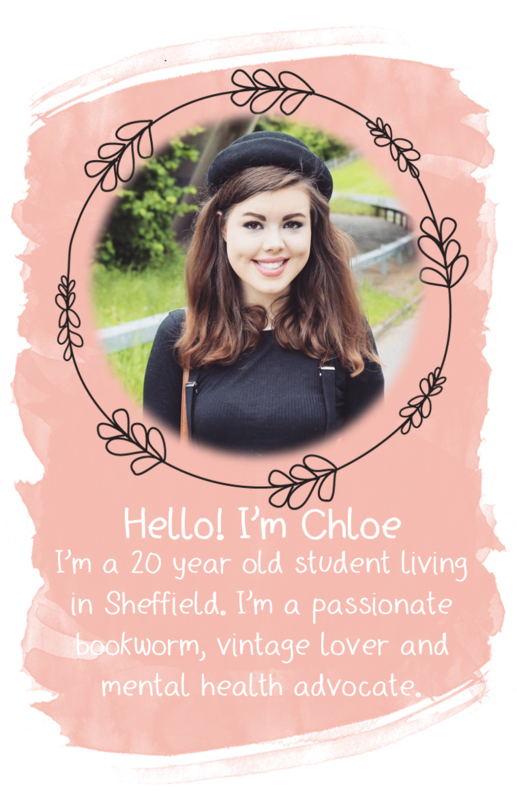 I do have a selection of beautiful bloggers who have been lovely enough to offer to guest post for me and from what I've read so far, they're oh so fabulous so I really think you're going to adore them. A post will be going up once a week starting on Wednesday so keep your eyes peeled. Last Friday was my 'Celebration Day' at school to celebrate the end of five lovely years at my school. It was an amazing day that was filled with emotion and I'm not going to lie I did cry, even though I am staying on for sixth form. In the evening I popped into town to meet two of my friends and we did a bit of shopping and enjoyed a costa to celebrate the end of an era. I 'accidently' popped into Lush and spent a fair amount buying some fabulous products. I managed to pick out a selection of products I haven't actually tried before which is actually really exciting. 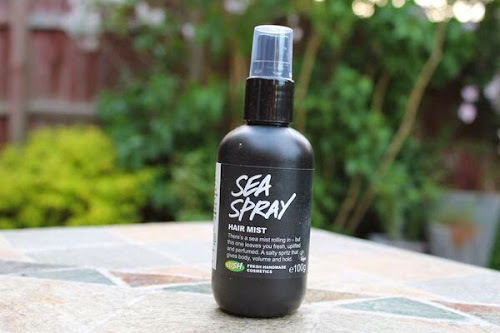 "Get that that beach hair look with this salty spray that gives a light hold and adds shine, leaving a neroli, orange flower, grapefruit and rosewood scent. We've used carrageenan, a seaweed extract, together with glycerine to hydrate the hair. 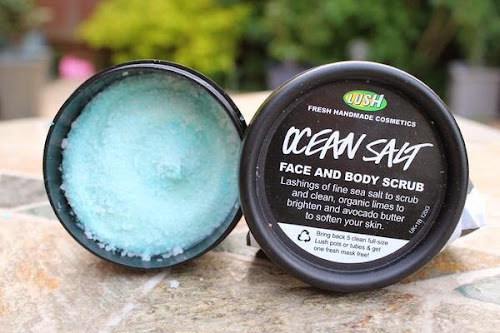 Mineral-rich fine sea salt gives that volumised, beachy head look, counteracting the flattening effects of soft water and softens the skin on the scalp too." "Sea Spray" is priced at £9.95 for a 100g bottle. "This face and body cleanser is a gentle treat for the skin, leaving you soft to the touch with a buttery popcorn fragrance. Maize flour and polenta gently exfoliate, whilst cinnamon powder stimulates and leaves you feeling fresh and revived, with beautifully soft skin. This gentle yet scrubby cleanser will soothe and soften your skin, giving it a natural glow." 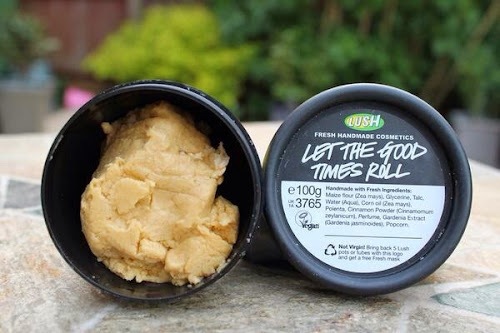 "Let The Good Times Roll" is priced at £6.35 for a 100g pot or £15.88 for a 250g pot. "Limes steeped in vodka, grapefruit and lashings of salt go into this invigorating face and body scrub. Sea salt is rich in minerals and is excellent for scrubbing away any dead skin. We also add rich, silky avocado butter, coconut oil and seaweed absolute to keep your skin soft, smooth and conditioned. If you feel you need a good scrub down, apply to dry skin and rub all over using circular motions, or for a more gentle buff, use on damp skin." "Ocean Salt" is priced at £7.20 for a 120g pot or £13.25 for a 250g pot. "A foot-shaped scrub to pumice away dead skin, while softening and deodorising. Break off a little and take this into the shower. As soon as it gets wet, the fizzing action and pumice means you can kiss goodbye to hard skin. 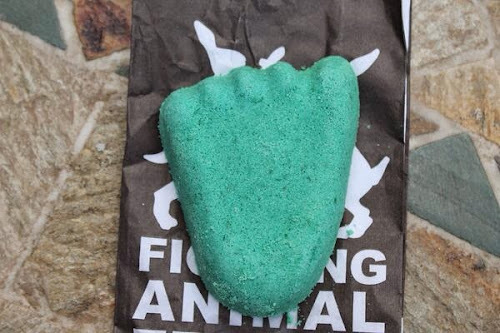 You can also kiss goodbye to smelly feet as the antibacterial and uplifting lime, lemon and lemongrass oils take effect, which combat the microbes that cause foot odour. The addition of cocoa butter and organic jojoba oil stop feet from drying out and keep the skin supple." "Stepping Stone" Foot Scrub is priced at £3.10 for a 60g scrub. "Mo Constantine combined her love of baking with soap alchemy to create this wheaty face soap. This sweet smelling squidgy bar uses wholemeal bread to exfoliate and revive the skin, and wheatgerm oil, hop oil and Fair Trade organic cocoa butter to soften. Movis is free from animal fats, palm oil and petrochemicals." 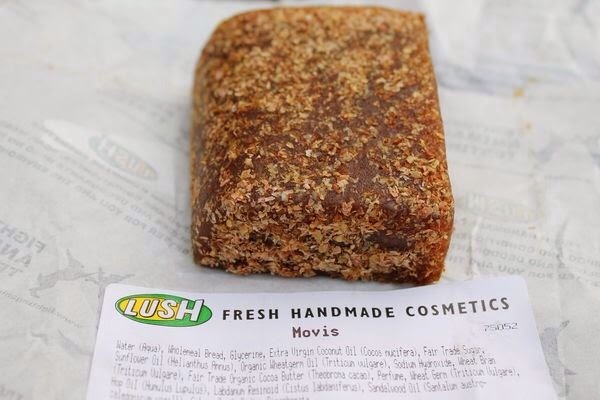 "Movis" is priced at £4.50 for 100g, £11.25 for 250g and £22.50 for 500g. Let me know if you want to see full reviews of these products and I'll make sure I do.Have you brought anything from Lush recently? I hope your exams go well! I need that sat spray! I'm really liking the salt/messy-hair-look sprays as well, but didn't know about LUSH's, so that's cool! I like how tiny & compact it is - would be great for taking in a bag or something for touchups throughout the day!